Mt.Fuji Tour Desk by Tokyo Tourist Information Center ｜H.I.S. Superhero Go-Kart, Paragliding and more! 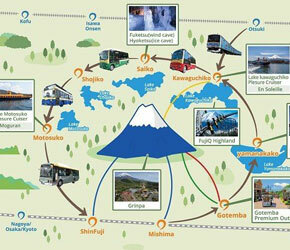 This tour will take you to the Mt Fuji area, which has earned the title of UNESCO World Heritage site. You can enjoy the beautiful and famous scenery of the mountain. 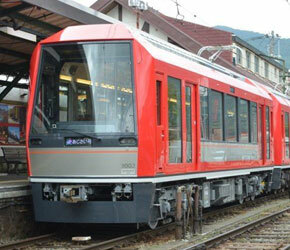 The tour also visits Hakone, an old and historically important town. There you can enjoy a ride on the famous Komagatake Ropeway, from where you have a spectacular view of the area. 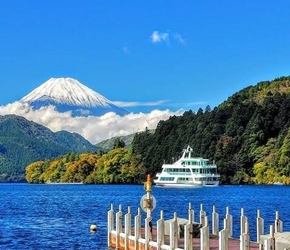 Furthermore, a cruise over the Lake Ashi is included, so you can enjoy the scenery not only from a high position, but also from the water. 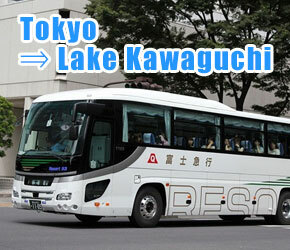 Our Bestseller tour with bus return to Tokyo! Enjoy beautiful sceneries around the UNESCO World Heritage of Mt. 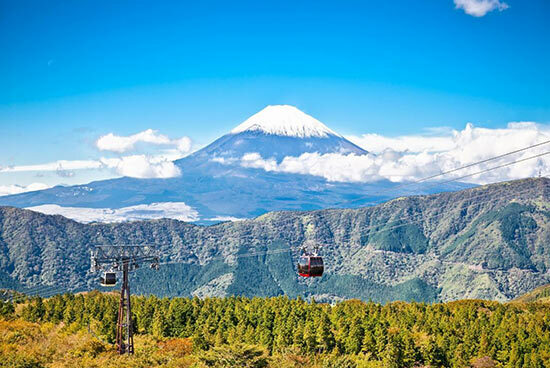 Fuji and Hakone Village, and see some of the wonders Japanese nature has to offer! Offers great panoramic view, not only close to Mt. Fuji, but also from further away! Enjoy beautiful sceneries around the UNESCO World Heritage of Mt. 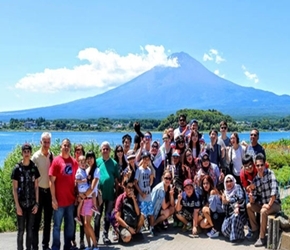 Fuji and Hakone Village, and see some of the wonders Japanese nature has to offer! With this Bestseller tour you can return to Tokyo in the evening even faster to enjoy more of the remaining day. Offers great panoramic view, not only close to Mt. Fuji, but also from further away. 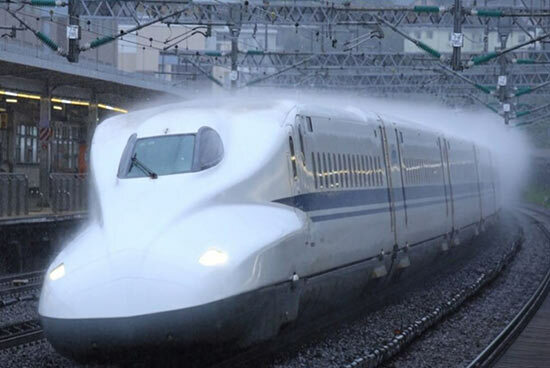 Plus, you get to ride the famous Bullet Train! This tour allows you to see more of the UNESCO World Heritage region around Mt. Fuji. It also gives you a glimpse of Japanese culture as well by showing you Oshino Village, which contains old houses build in traditional fashion..
Not only you leave with the memories, but also with a bottle of water from the "Spring of Gods" - Mt. Fuji underground water reservoir. 1 Day Mt. Fuji & Hakone Owakudani Valley Tour! This tour shows you not only the region around Mt. Fuji, but also gives you a broader view of Hakone Village-area. 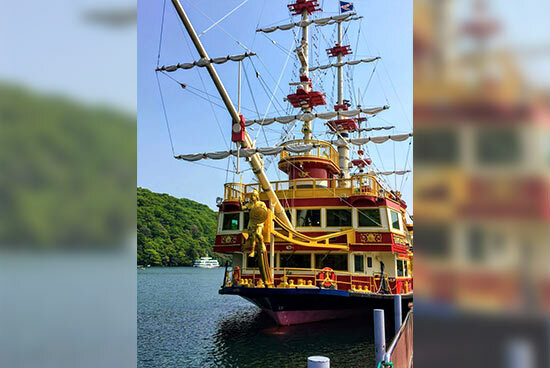 You can ride the famous pirate ships on Lake Ashi, and see the volcanic craters in Owakudani, while getting to taste the local speciality: eggs boiled in natural hot springs! 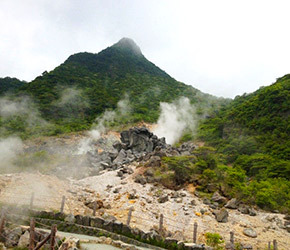 Unlike many other tours here you get to see the volcanic craters in Hakone! This tour combines the most important and beautiful places in the Mt. Fuji vicinity into one bargain package. The mountain can be seen from up close (Fifth Station), from further away from Lake Kawaguchi (Oishi Park), as well as while riding the ropeway. The itinerary also includes the traditional Japanes village of Oshino Hakkai. 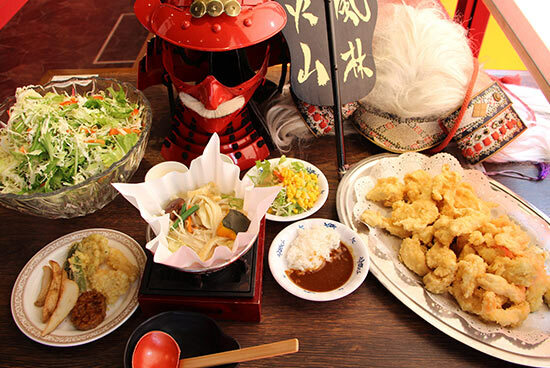 Japanese style lunch will be served. This tour is recommended for every visitor, and will provide the best experience for a very reasonable price. A combination of the most important places around Mt. Fuji for the best price. One of the highlights of this tour is the visit of Odawara Castle, which was first build in 1447, and was of major importance in the Sengoku Era. During the spring season it is surrounded by blooming cherry trees, which provides a wonderful picture. After a ride on the pirate ships on Lake Ashi (Hakone) the Sakura Festival at Lake Kawaguchi will also be visited. 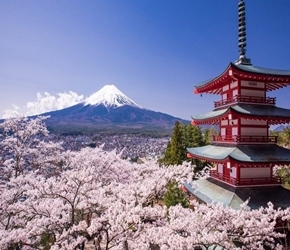 Visit two beautiful cherry blossom locations. Mt. Fuji, Kawaguchiko Sakura, Sakura in Arakura Sengen Shrine & Oshino Shinobi Ninja Village! 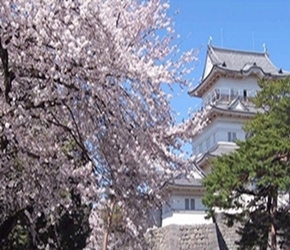 With this tour the cherry blossoms close to Lake Kawaguchi can be visited. Furthermore, besides a trip to Oshino Ninja Village, participants can see the Arakura Sengen Shrine, which is famous for its pagoda. Together with the cherry blossoms and Mt. Fuji in the background this will provide a great picture. A wonderful combination of Japanese nature and history. 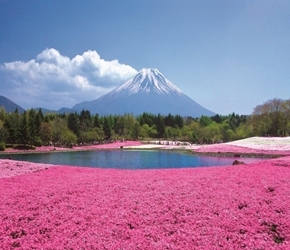 Enjoy one of the best views Japanese nature has to offer. Public Road Go-Kart Tour in Mt. Fuji Lakeside! 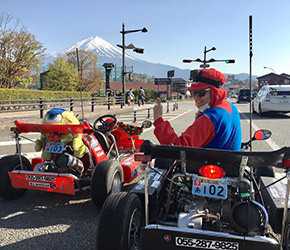 DiscoveSurely you have heard about the Go-Kart tours through actual streets of Japanese cities, dressed up as popular characters from video games. 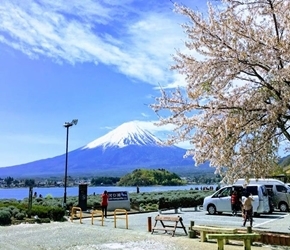 Here you not only get to do this kind of road trip, but also do it while enjoying a wonderful scenery around the UNESCO World Heritage area of Mt Fuji. It is a combination of real-life videogame experience and a great scenery! Mt. 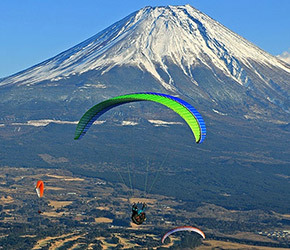 Fuji Paragliding Experience with Express Bus Transfer from Tokyo! Have you already been to every place around Mt. Fuji on ground-level, and now want to see it from above? Or do you just want to combine Adrenaline with a beautiful view? Then this Paragliding experience is a must-do! Here you can get the full package: action and panorama, all in one activity! Aokigahara Forest & Lava Cave Exploration at Mt. Fuji! With this very special tour you get to see places around Mt. Fuji that are usually off-limits! 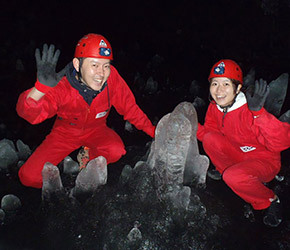 First you are shown the mysterious natural forest of Aokigahara, and then the ice-covered caves at Mt. Fuji, formed by volcanic activity thousands of years ago! Explore the mysterious side of Mt. Fuji! 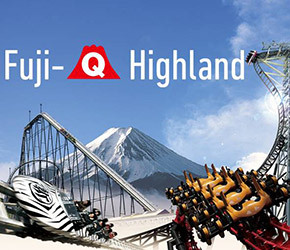 This special tour allows you to spend a day at the Fuji-Q Highland Amusement Park. 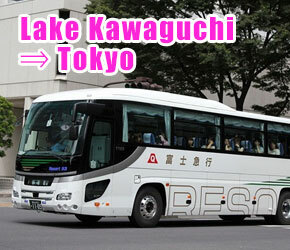 Not only is a 1-Day Free Pass included, but also the bus transfer there and back to Tokyo. The whole tour package is cheaper than if you would buy just the Free Pass yourself, not including the transfer! Spend the day at one of Japans most famous amusement parks, for a discount price! Explore the Mt. Fuji area freely at your own pace. This Pass enables the visitors to travel arround Mt. Fuji freely. Not only is public transportation included, but also entrance to many rides and attractions in the area, ans special parks in many shops. Perfect for exploring the beauty of the Mt. Fuji area freely. 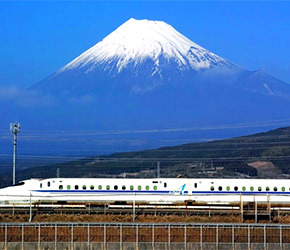 Hakone, Kamakura, and Enoshima are three of the most famous travel destinations in Japan. With this pass visiting all of them becomes easy, as public transportation is included. Furthermore there are discounts and other perks available at many shops and other facilities. 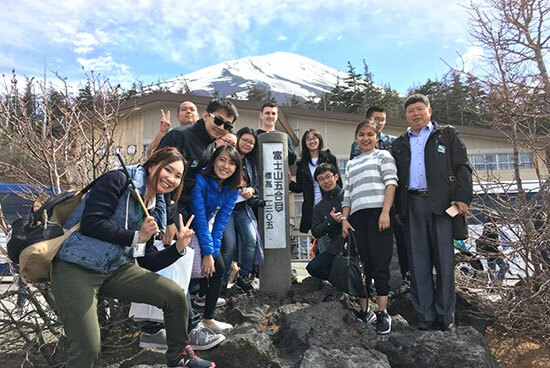 Enjoying the beautiful nature of Hakone and Kamakura freely has never been easier. The express bus runs several times a day from Tokyo to Kawaguchiko Station, and is perfect for visitors that would like to visit the Mt. Fuji area at their own pace. Convenient and cheap way to travel to the Mt. Fuji Area. The express bus runs several times a day from Kawaguchiko Station to Tokyo, and is perfect for visitors that would like to visit the Mt. Fuji area at their own pace. Convenient and cheap way to travel to Tokyo from the Mt. Fuji Area. 請隨時直接與我們聯繫　Please feel free to contact us directly. Bitte zögern Sie nicht, uns direkt zu kontaktieren. Please feel free to contact us directly. We also accept inquiries for private and group tours. Mt.Fuji Tour Desk is operated by H.I.S. Tokyo Tourist Information Center. Our philosophy is to continue providing useful information to our customers. Please feel free to contact us directly. We also accept inquiries for private and group tours. Introduce by TIC Harajuku Copyright © H.I.S. Co., Ltd. All Rights Reserved.